The Railroad Was Our Life! Home / The Railroad Was Our Life! "We would like to take you back in time to when the B&M was at its best. ...From the time we began working on the B&M, it was obvious this was no ordinary job. Our elders and teachers taught us to trust, respect and depend on each other. It was as if we had become part of this huge family and in time, it became a reality. An unbelievable bond was created along with a tremendous sense of respect and pride. For the five of us, the bond has never been broken and the sense of pride and respect has never diminished. 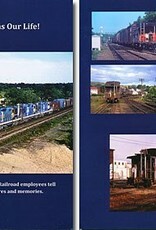 "We will be sharing our memories and pictures along with comments about the different types of equipment and services. We will discuss the very dramatic and painful changes that took place on the Boston & Maine during our careers that affected us and our families. 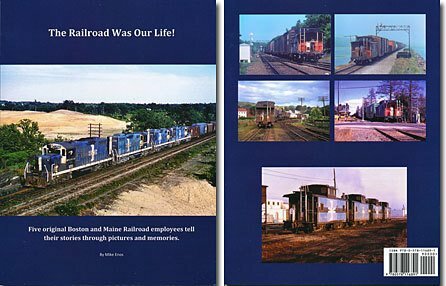 The Boston & Maine Railroad should never be forgotten. We will carry its legacy with us forever."